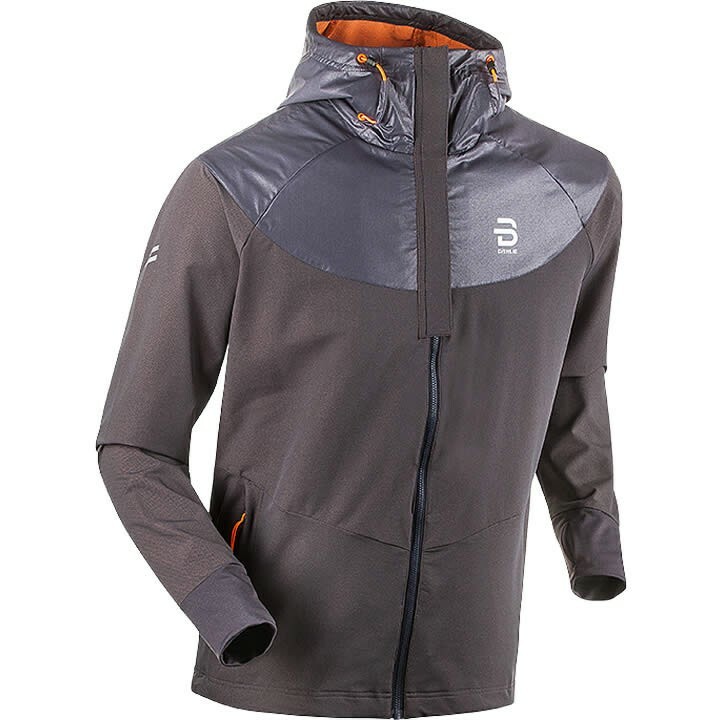 The men's Gatineau Jacket from Bjorn Daehlie is a technical multipurpose jacket, made with a combination of soft shell and rip stop material. Windproof reinforced shoulder and hood. The Bionic Finish Eco® ensures durability in the material, both in the form of long-lasting colors and its ability to withstand weather. Articulated sleeves for enhanced mobility. Sleeve cuffs with thumb holes. Reflective print at sleeves and one hand pocket control bottom hem adjuster. Comes with two pockets and all YKK-zippers. Sleeve cuffs with thumb holes.